To our expedition team huddled in the lounge room, steaming cups of tea in hand, our course for the next few days became clear. 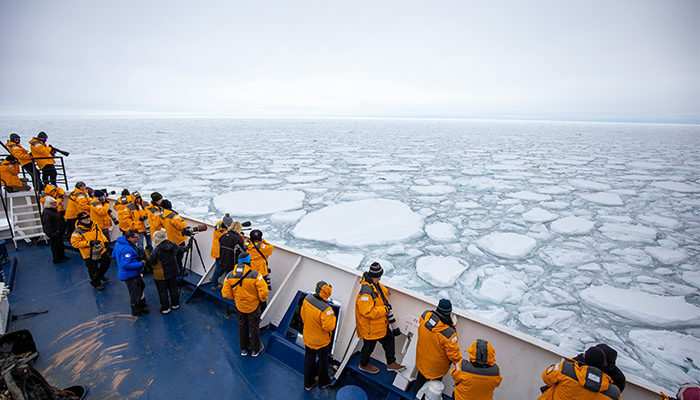 We needed to cut a path north-west through the Arctic Ocean towards Greenland, where a thick red belt of ice protruded south from the North Pole. 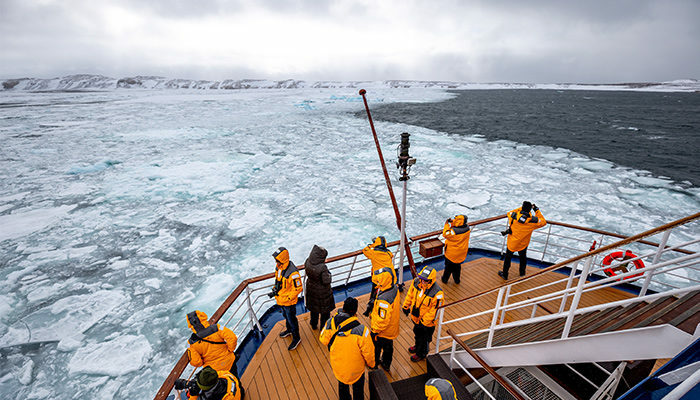 It was now the second day of our Introduction to Spitsbergen adventure and, while we’d seen plenty of reindeer, Arctic foxes, puffins and even a seal, we were yet to encounter the apex predator of this icy world. 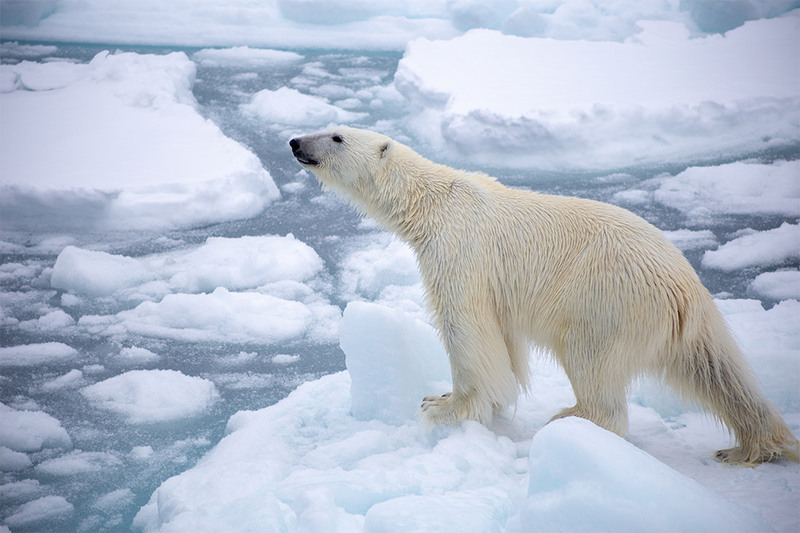 Passengers watch as the polar bear approaches (top right). Photo by Justin Meneguzzi. “I took this shot the moment our eyes connected through the lens.” – Justin Meneguzzi. 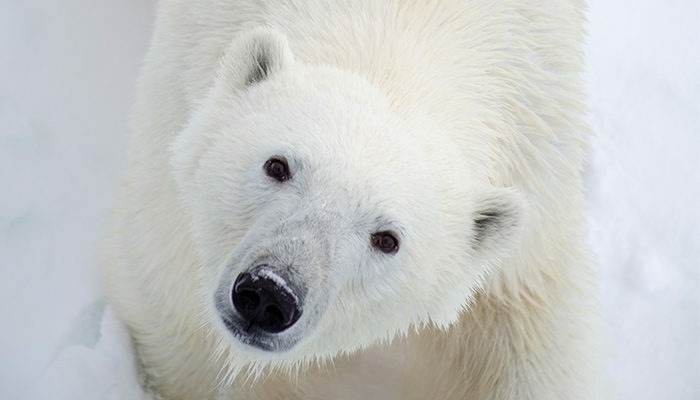 Discover your own wildlife encounter on one of our polar expeditions.